Our supply and extract valves (SEV) are suitable for use with all types of ventilation systems. They and offer an alternative low cost valve where noise level, although important, is not critical. Adjustment of the airflow is achieved by rotating the inner cone to the desired setting and is secured by means of a single lock nut. Valves (SEV) are suitable for use with all types of ventilation systems and offer an alternative low cost valve where noise level, although important, is not critical. Adjustment of the airflow is achieved by rotating the inner cone to the desired setting and is secured by means of a single lock nut. 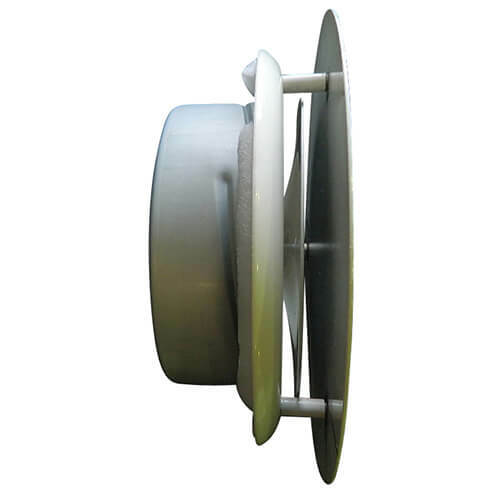 Steel Valves are c/w mounting ring. 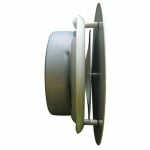 The mounting ring is suitable for connecting to conventional ducting or for grouting into a wall and should be positioned to ensure that the front rim is flush with the finished wall face. The air valve has a quarter turn bayonet type fastening which secures it firmly in place in the mounting ring. SEV valves are manufactured from steel spinnings, the outer body is fitted with a gasket to form an airtight seal with the mounting ring. The mounting ring being made from plated steel. 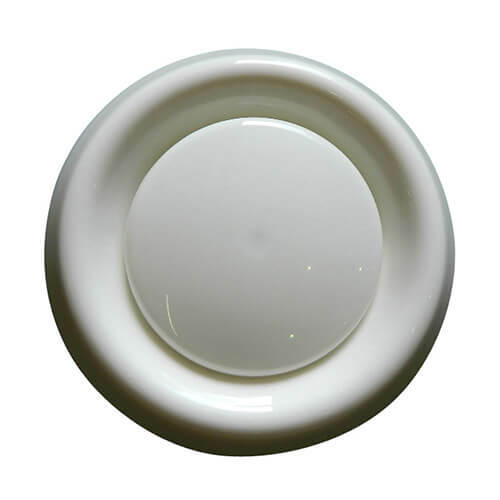 Valves are finished in white, or polyester powder coated to the customers colour requirement. 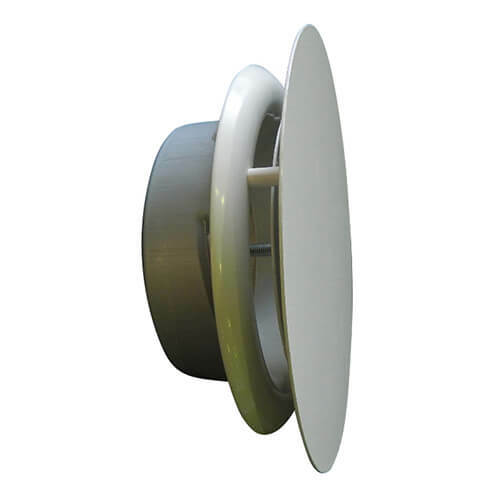 Plastic valves are manufactured from white polymide and polypropylene. 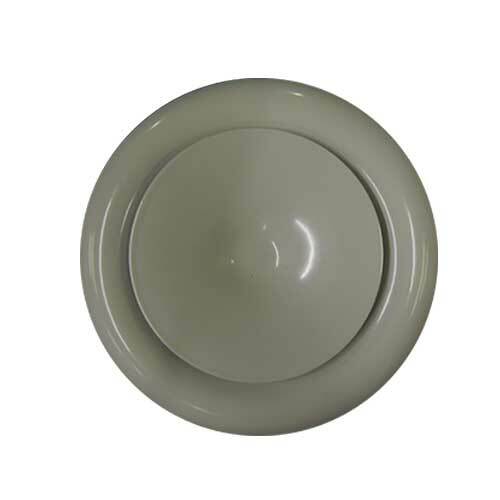 The plastic valves are suitable for temperatures up to 100°C.